The magnificent seven in "The Magnificent Seven." If you're going to pick a film to give the remake treatment, you could do a lot worse than John Sturges's iconic 1960 western "The Magnificent Seven," which was itself an Americanized take on Akira Kurosawa's "Seven Samurai." Holding onto the sturdy plotline of the original, the new film's major change is injecting some diversity into its ensemble, while anchoring the cast with a few recognizable faces -- it swaps in the likes of Denzel Washington, Chris Pratt, Ethan Hawke, and Vincent D'Onofrio for Steve McQueen, Charles Bronson, Robert Vaughn, and James Coburn. Reteaming with his "Training Day" and "Equalizer" director, Antoine Fuqua, Washington plays bounty hunter Sam Chisolm. Hired by the desperate Emma Cullen (Haley Bennett, "Music and Lyrics"), the outlaw is tasked with rounding up some men to help defend the frontier town of Rose Creek from the odious Bartholomew Bogue (played by an effective, if somewhat one-note, Peter Sarsgaard), the cutthroat capitalist who's been terrorizing the town in the hopes of claiming it as his own. Washington tamps down his natural charisma to play the terse, stoic lawman. With hints of a tragic backstory, he's forced to play the straight man to the more showy roles of his castmates. As laconic Irishman Josh Faraday, Pratt gets more of an opportunity to demonstrate his innate affability, and the part plays significantly better to his strengths than his role in "Jurassic World" -- here he at least gets to crack a few jokes. His performance may be at least 40 percent badass leaning, but there's no denying he's got that down pat. Chisolm's next recruit is his old friend Goodnight Robicheaux (Ethan Hawke), a sharpshooter and Civil War vet still suffering from PTSD, and his knife-wielding partner, Billy Rocks (Byung-hun Lee, "I Saw the Devil"). The ragtag band of mercenaries is rounded out by a Mexican bandit named Vasquez (Manuel Garcia-Rulfo), one of Chisolm's bounties whom he lets off the hook in exchange for his assistance; a Comanche warrior named Red Harvest (Martin Sensmeier), skilled with a bow and arrow; and wildcard scalp collector Jack Horne (D'Onofrio). A significant portion of the film's runtime is devoted to Chisolm rustling up each man and convincing him to join the cause. The film plods from scene to scene with little to propel it forward since, thanks to the title and the ability to count, we're pretty sure which way each interaction is going to swing. And for all the time spent with these men, far too many are underdeveloped as characters -- Vasquez and Red Harvest feel particularly underwritten. But once the lengthy showdown against Bogue and his goons gets going, the film is wall-to-wall gunslinging. Fuqua has a good eye for action, and the film's many shootouts are well-staged, with more than its share of thrilling moments -- including a theater-shaking sequence as Bogue and his goons unload a Gatling gun on the town. But even those start to grow numbing after a while. There's some attempt to give the film a new cultural relevance through the ethnic makeup of its cast, and there's something to the idea of a woman and a diverse group of minorities fighting back against the white men who've made them feel they have no right to the country they call home. Still this is an old-fashioned western through and through: Fuqua and screenwriters Nic Pizzolatto (HBO's "True Detective") and Richard Wenk aren't interested in a revisionist take on the genre. They play things entirely straight, and the film indulges in all the expected tropes, breakaway saloon railings and all. Yet it's not quite enough to distinguish the film. 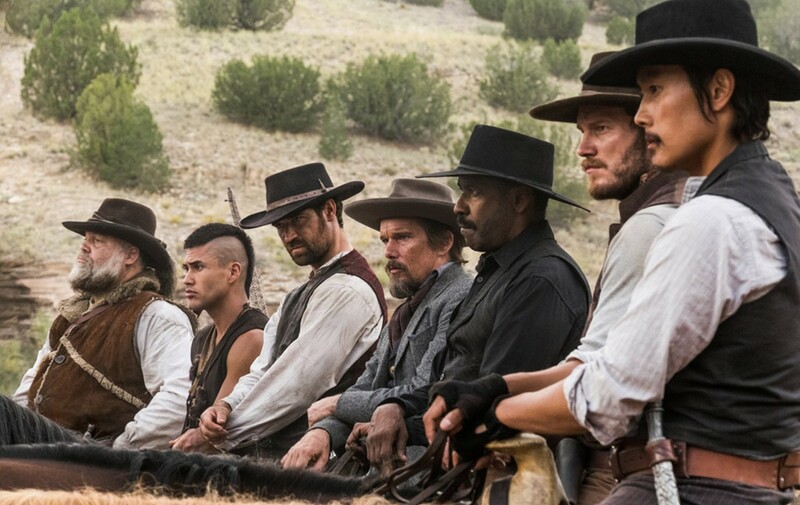 Too often, "The Magnificent Seven" just feels like yet another of the superhero team-up films that are so in vogue these days. With each man joining the fight, bringing his particular skillset to the battle, it's got more in common with "The Avengers" and "Guardians of the Galaxy" (which incidentally also starred Pratt as a roguish outlaw) than the classics of the genre it's ostensibly drawing from. The last project taken on by the late James Horner, who died before completing the score (which was then finished by his friend Simon Franglen). The composer contributes a stirring and effective musical through line, even incorporating the memorable main theme from Sturges's film. One absolutely atrocious final shot aside, "The Magnificent Seven" isn't a bad movie. It's just a curiously lifeless one. Despite a capable director and a talented cast, things never quite click into gear, in the end it feels like so much wasted potential. 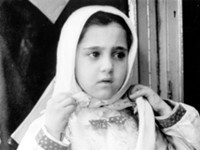 Check back on Friday for additional film coverage, including reviews of the Witness Palestine film series and a preview of local events in honor of Art House Theater Day.